Sung Hyun Kang is an Assistant Professor at the Department of International Cultural Studies & Institute for East Asian Studies, SungKongHoe University (Seoul). Please join us Friday (2/23) as we host Professor Sung Hyun Kang. 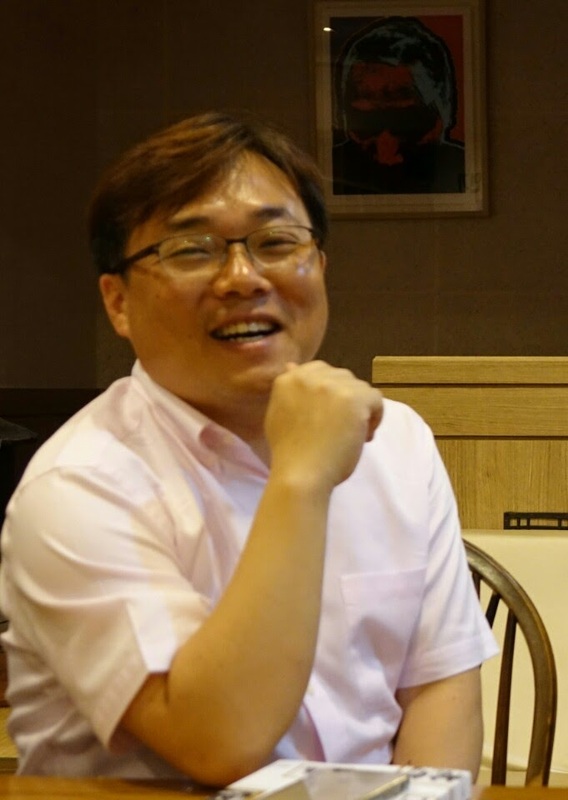 Professor Kang will discuss two papers: an article draft on the topic of Korean ‘comfort women’ photography, as well as a reflection on his experiences engaging in archival research for the article. This workshop will be of significance to both to those who are interested in questions of photography, moving images, and comfort women; and also in the practical concerns of conducting archival research regarding images, both still and in motion. Professor Kang’s article draft focuses on the still and motion pictures of Japanese military ‘comfort women’ captured by army photographers attached to the U.S. Army 164th Signal Photo Corps in China, Burma, and India during World War II. With attention to related documents and testimonies of “comfort women”, Kang analyzes the viewpoint of the photographers, as well as the intent and nature of the army photographers’ activities. Moreover, this paper uncovers the stories of individual Korean ‘comfort women’ who appear as the subjects in these still and motion pictures. The papers are available directly below, or at this link. If you have not received the password, or have questions about accessibility, please feel free to contact Helina Mazza-Hilway (mazzah@uchicago.edu) or Susan Su (susansu@uchicago.edu). This event is sponsored by the Committee on Korean Studies at the University of Chicago Center for East Asian Studies with support from a Title VI National Resource Center Grant from the United States Department of Education. 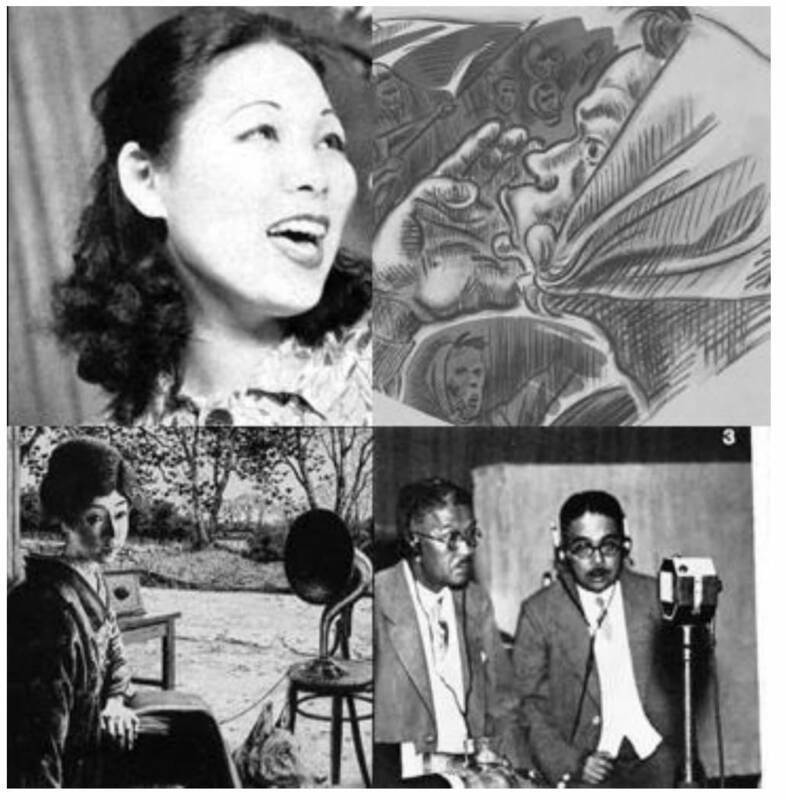 Clockwise from left: Fumiko Kawabata, Eiga no Tomo (July 1938), flyer for Zenkoku Nomin Sogo Taikai (April 1935), in-studio session for JOAK program ‘santo no bunka wo kataru (1933), promotional image for NHK Tokyo station JOAK. The 1920s and 30s in Japan witnessed a striking degree of attention converge on the voice in poetry, theater, and popular music. Alert to recent advances in radio, commercial recording, and sound film, artists, intellectuals, and activists sought to reckon with the human voice both as an increasingly powerful medium of public self-expression as well as a material and aesthetic object of mediation itself. For poets and musicians in turn, sound technology seemed at once to enliven new modes of vocal expression while ironically threatening the very sense of immediacy and authorial presence that drew many to the voice in the first place. 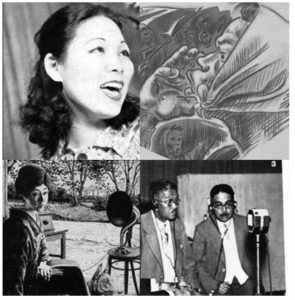 At the same time, the transit of voices and bodies on records and radio waves across the Pacific and throughout Japan’s heterogeneous empire invited unruly expressions of subjectivity across audible markers of race, gender, and culture. By addressing this historical moment as an ‘era of the voice,’ then, my dissertation project explores how these discursive and technological currents manifested in embodied vocal practice, and how an attunement to these sounds might help to rethink the culture and politics of interwar Japan.